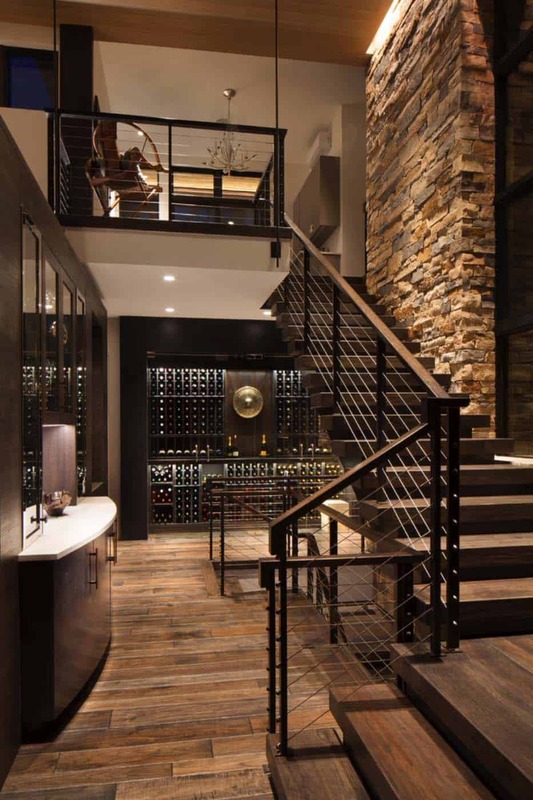 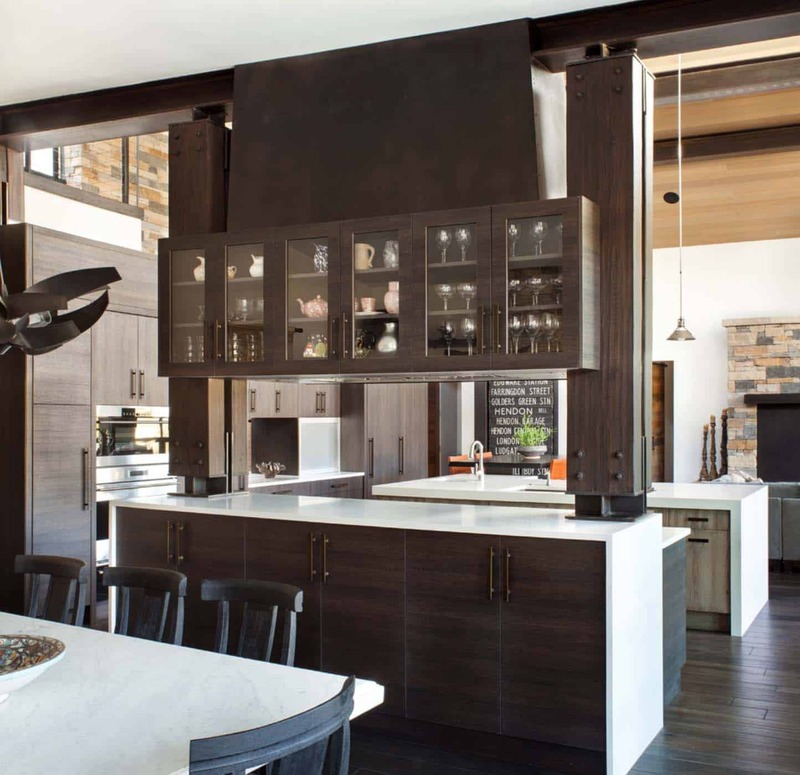 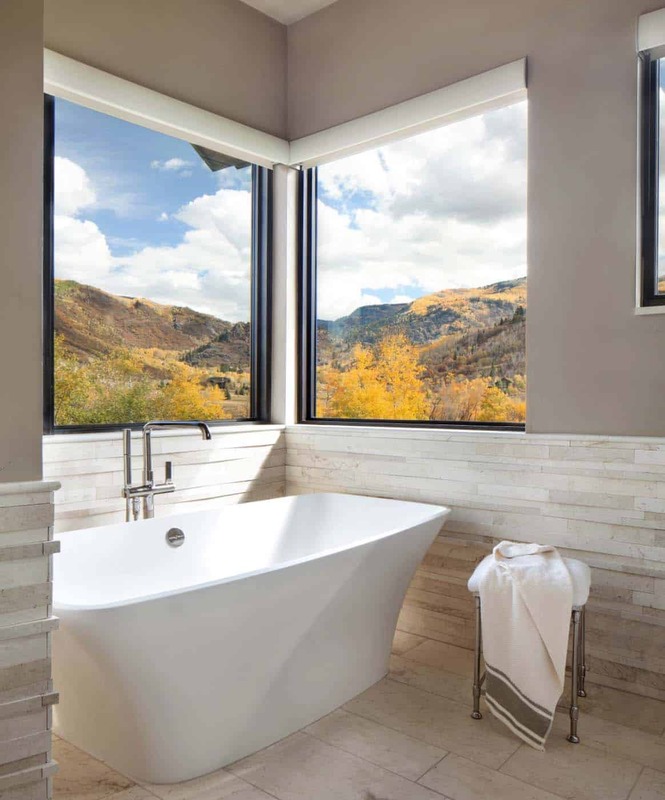 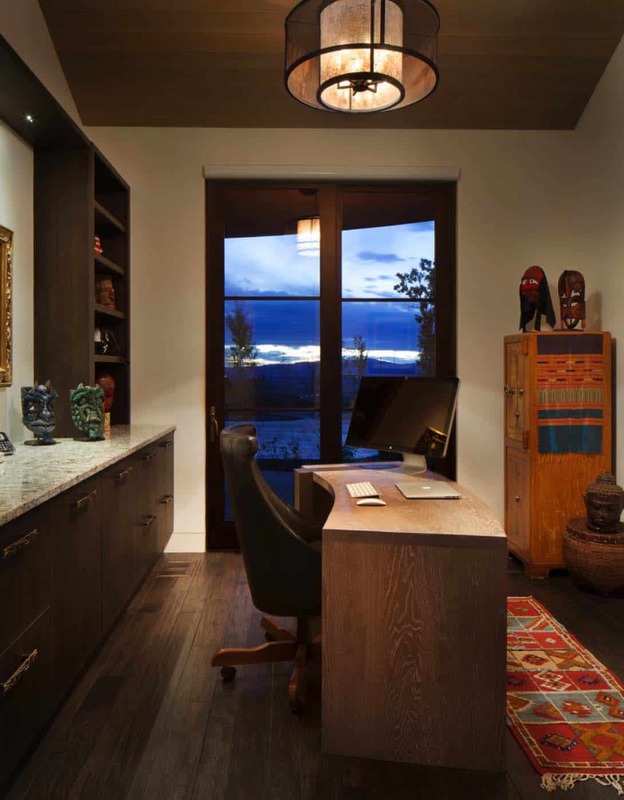 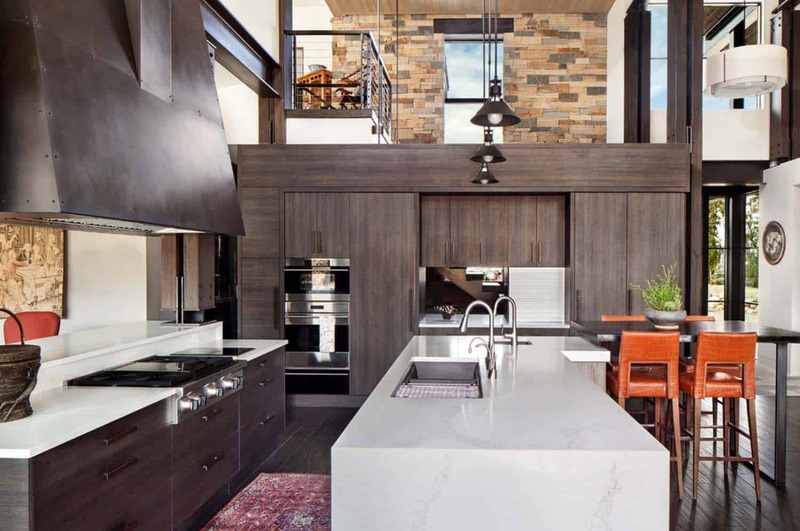 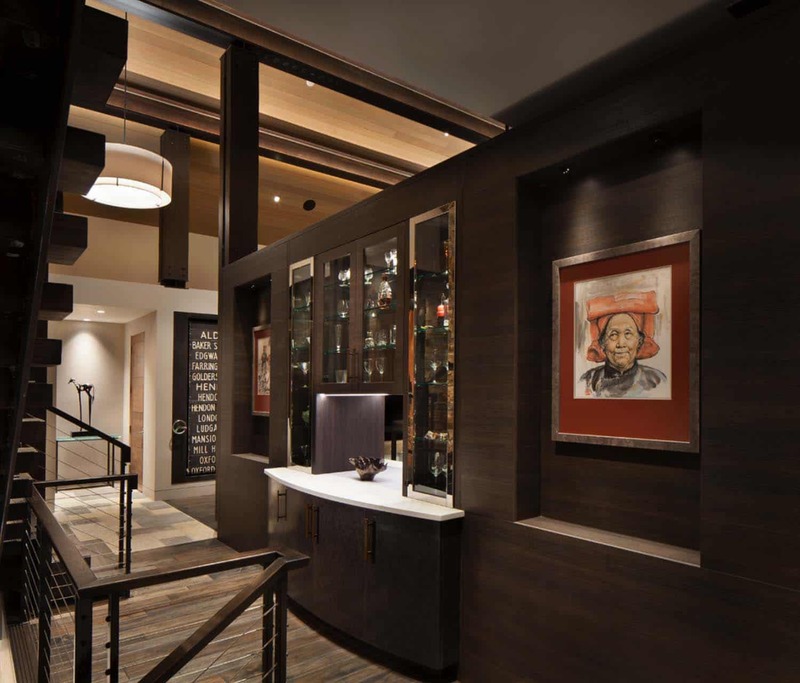 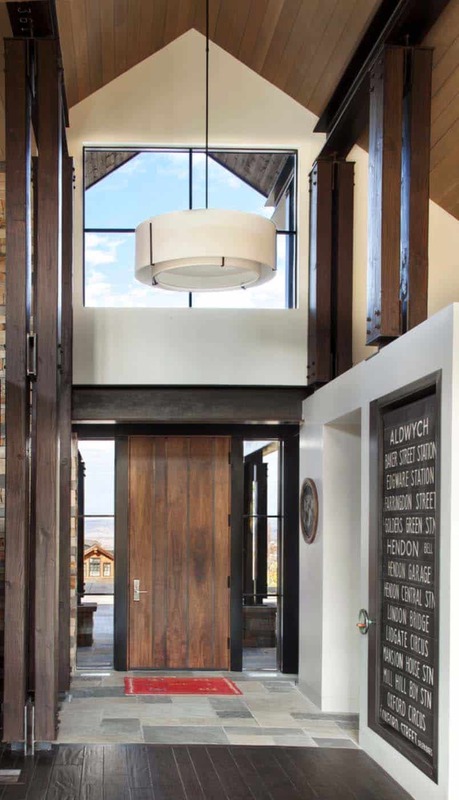 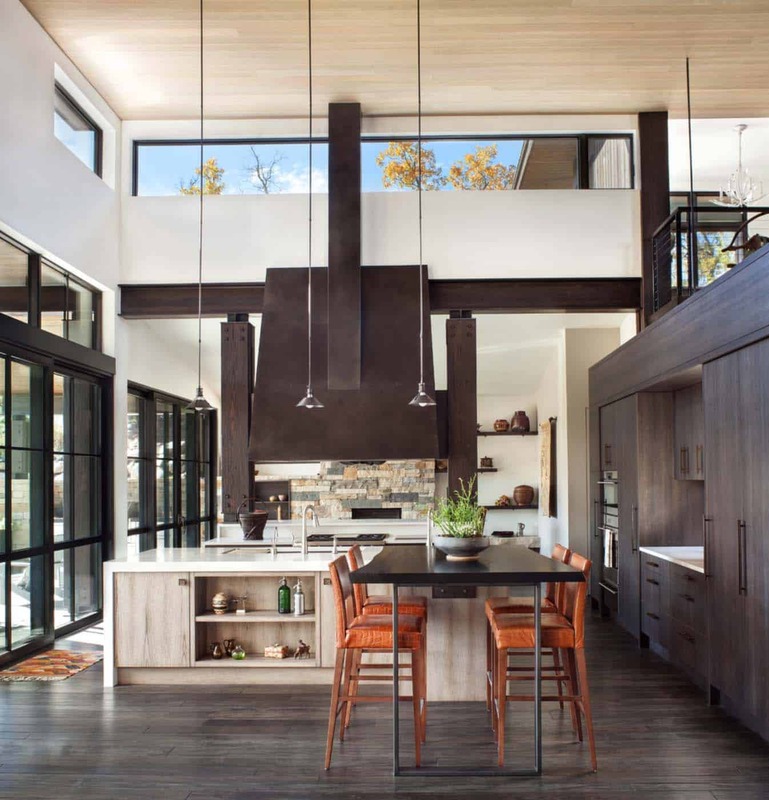 This two-story contemporary mountain home was designed in 2016 by Vertical Arts Architecture, located in Steamboat Springs, Colorado. 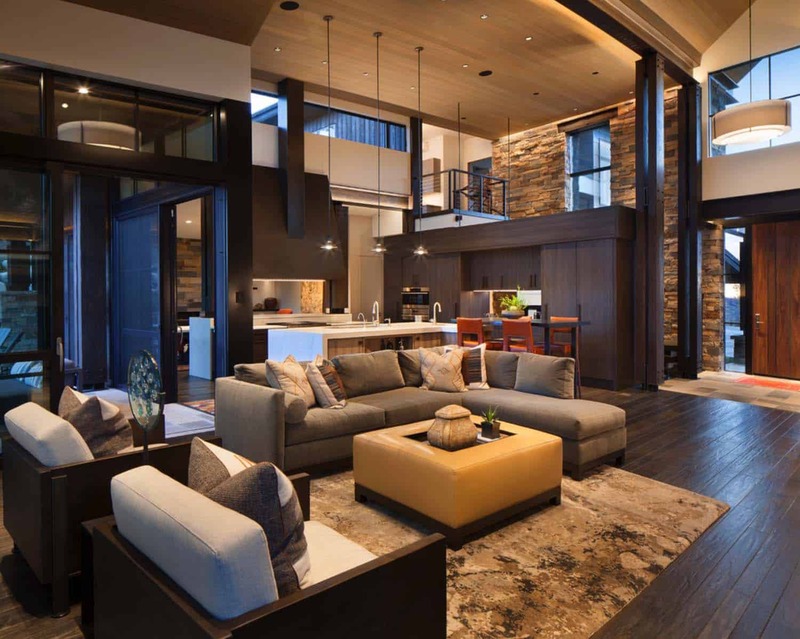 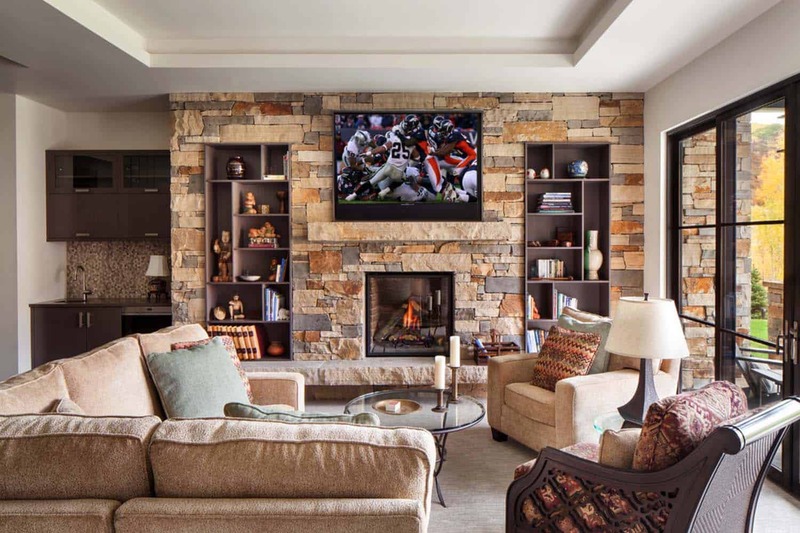 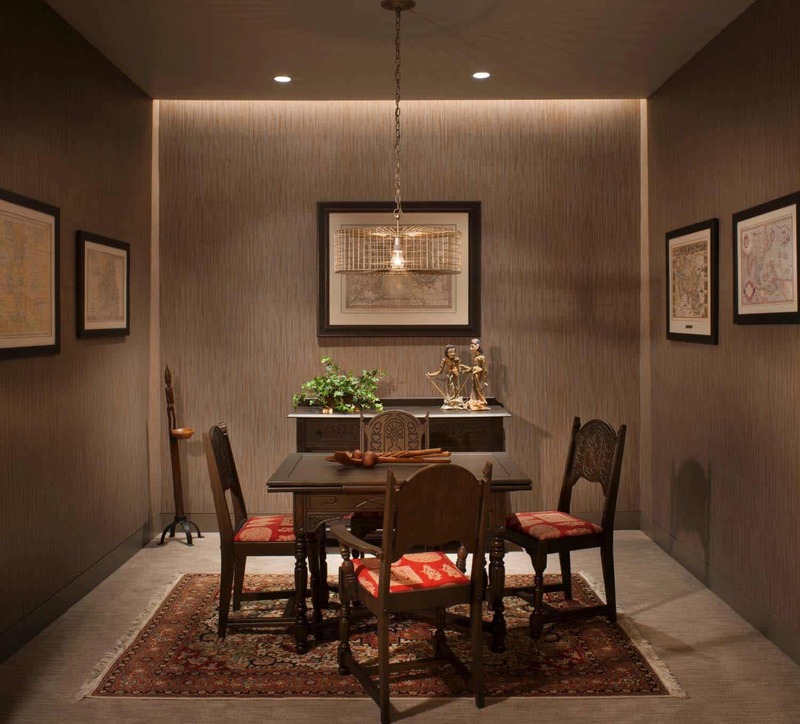 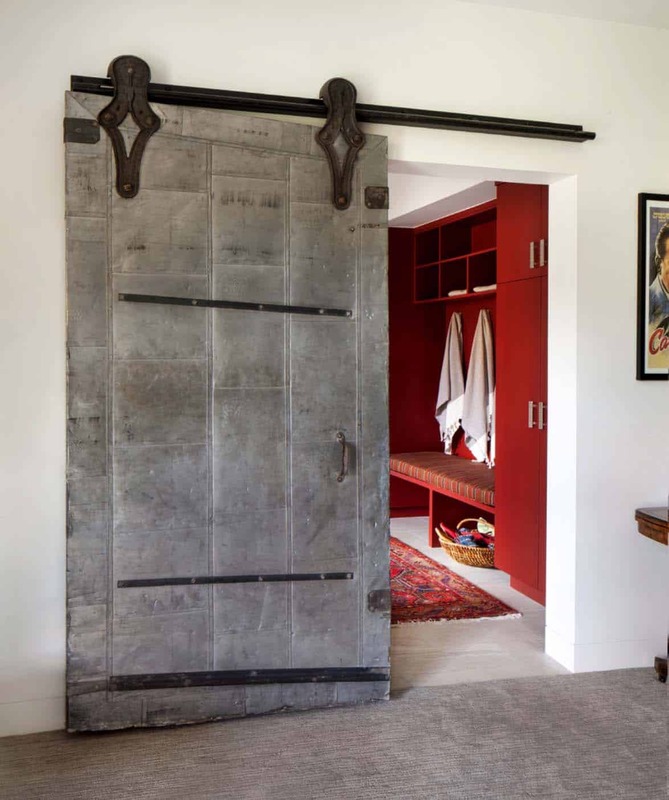 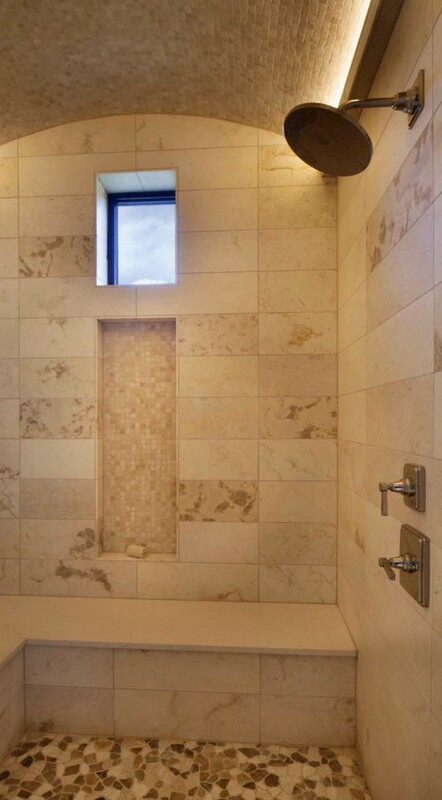 The homeowner requested that the design of their home feel warm and cozy yet have a modern aesthetic. 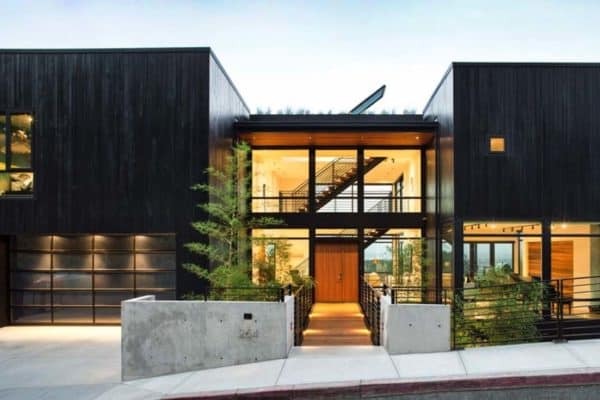 The architects achieved this through a combination of sloped and flat rooflines, timber and steel details, as well as a variety of siding materials. 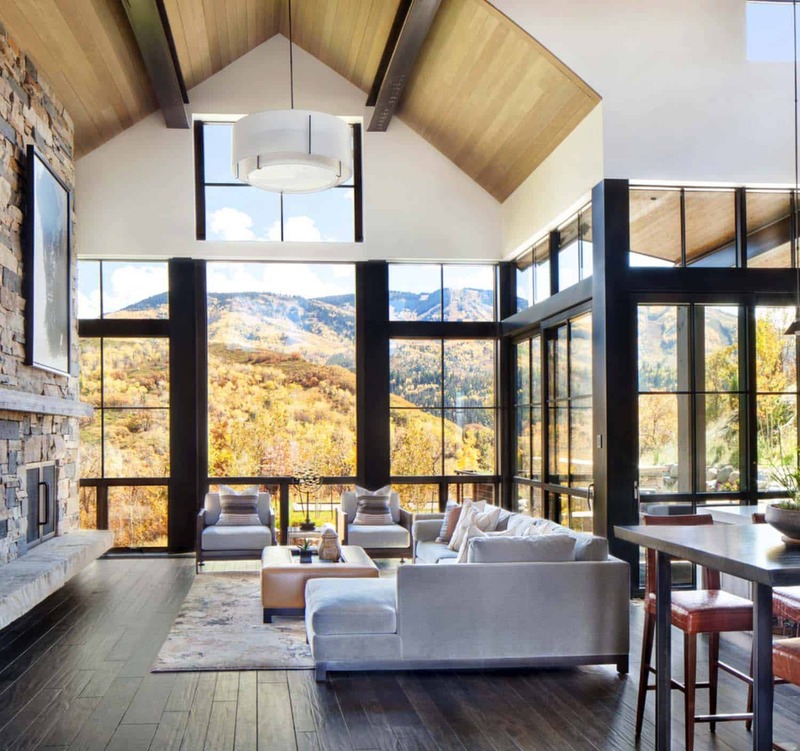 On the interior, a voluminous great room features floor-to-ceiling windows that enables panoramic views of the surrounding mountains from all directions. 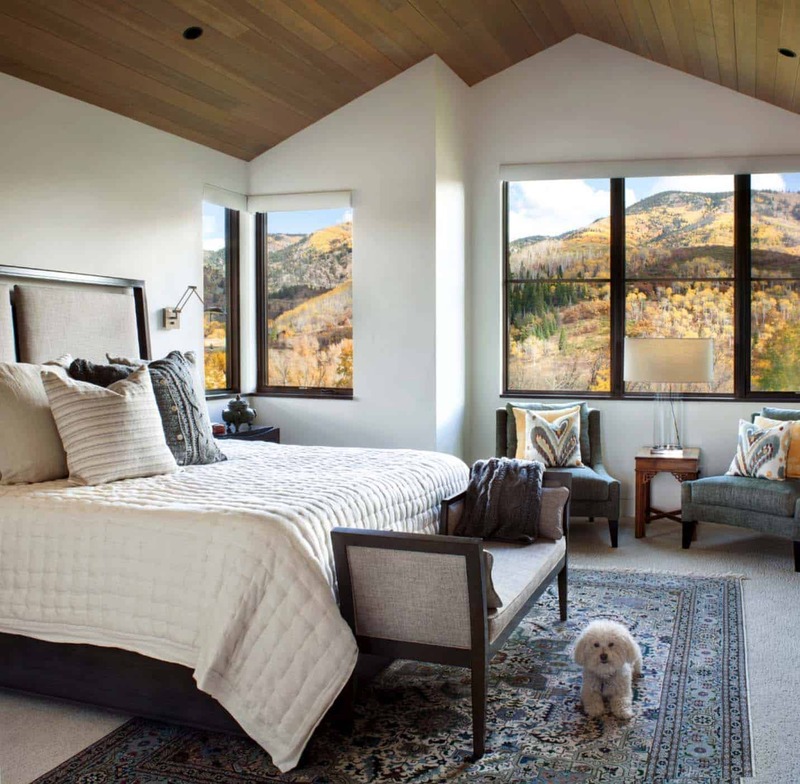 The expanse of windows also makes the home feel bright and airy. 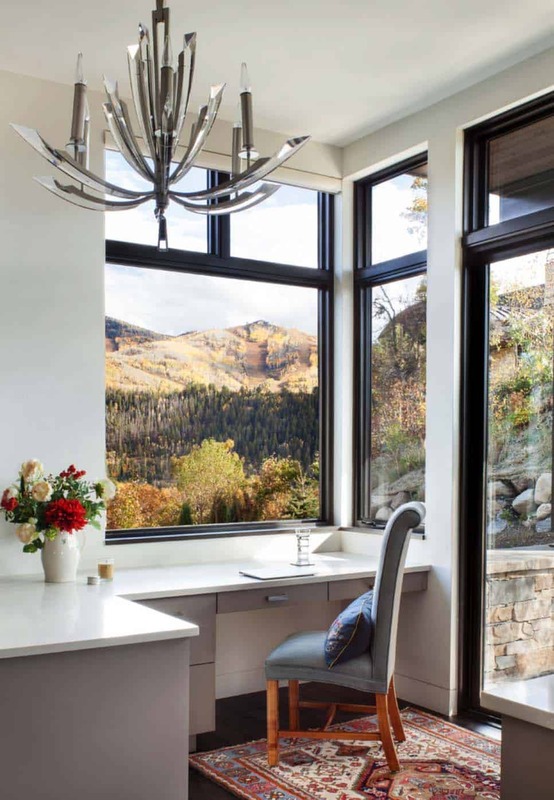 Integrating walls of windows as well as carefully placed glass provides the indoor/outdoor living experience the homeowner desired. 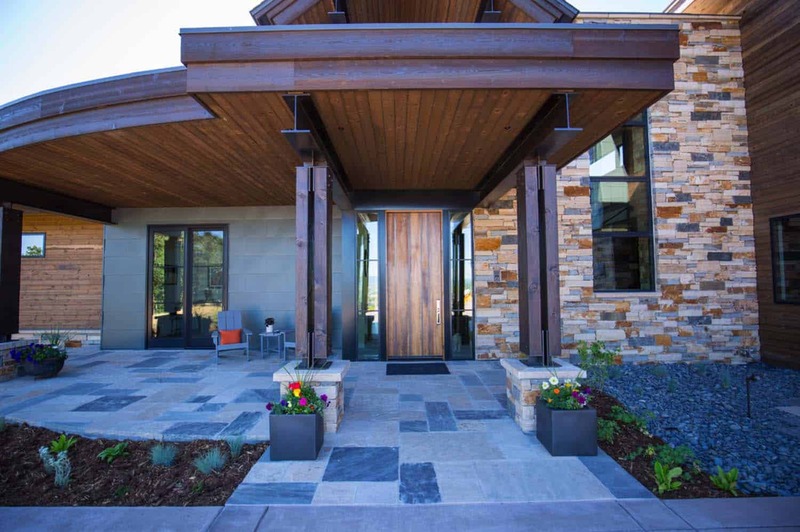 Along with a spacious master bedroom suite and home office, the residence also showcases a three car garage, wine room, family and game room, as well as three additional bedrooms. 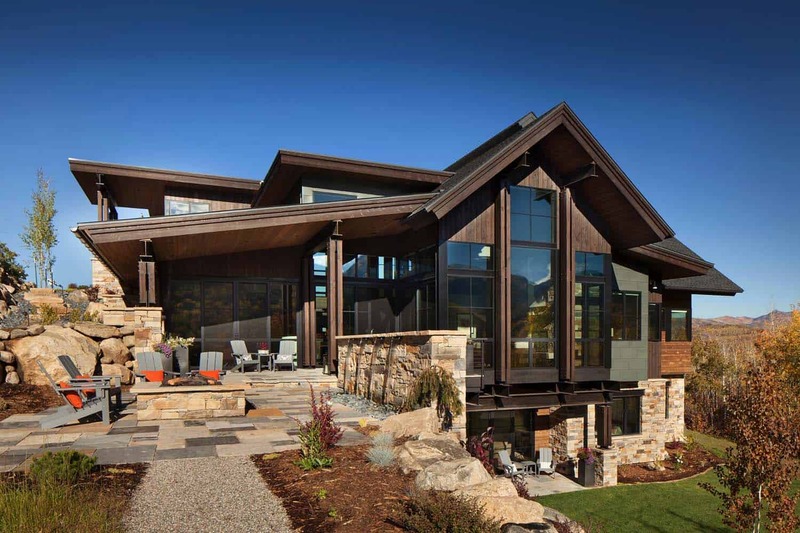 What We Love: This contemporary mountain home features spectacular views from every direction, both indoors and out. 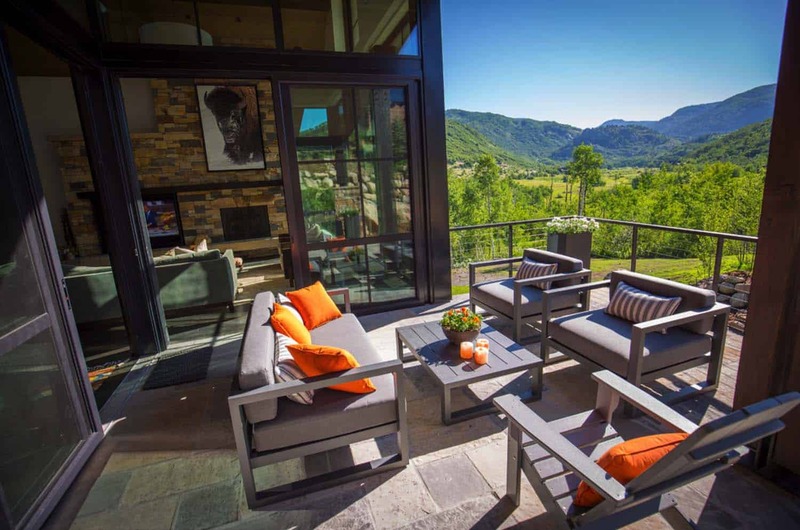 The home offers a peaceful retreat to relax in comfort and style. 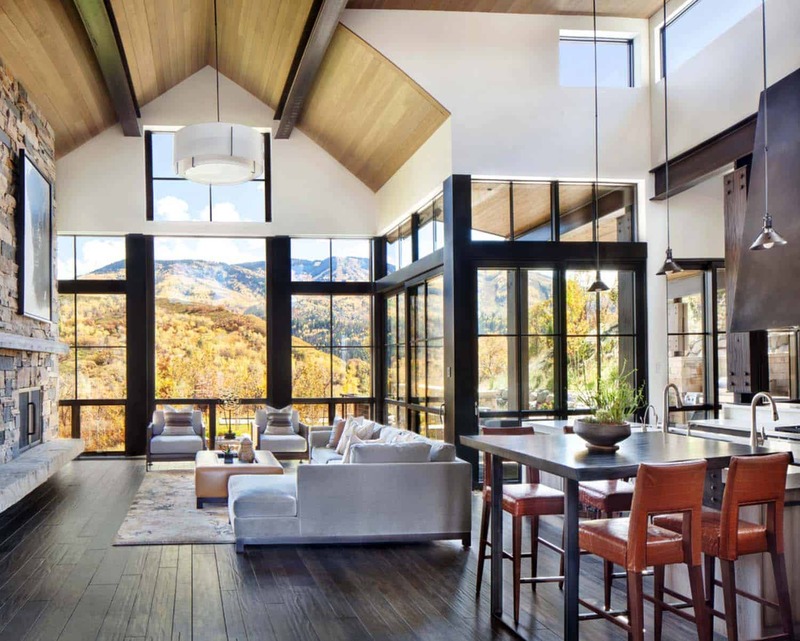 We especially love the great room with its soaring ceilings and floor-to-ceiling windows that perfectly frames the mountain range beyond. 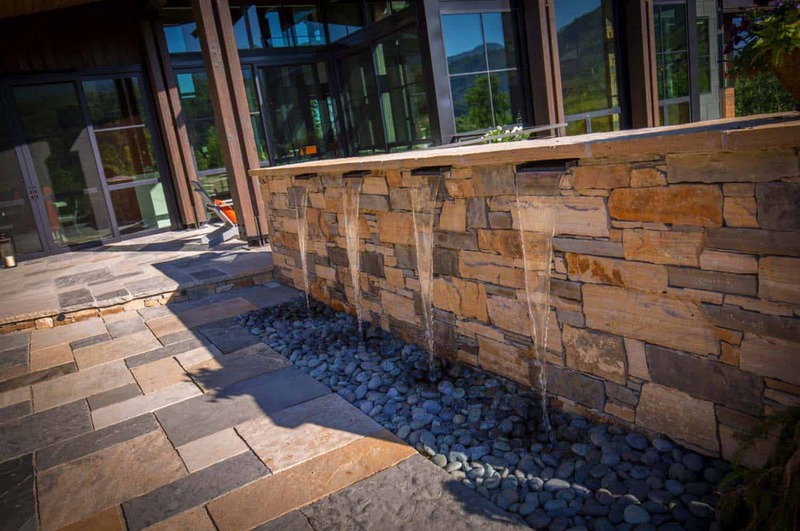 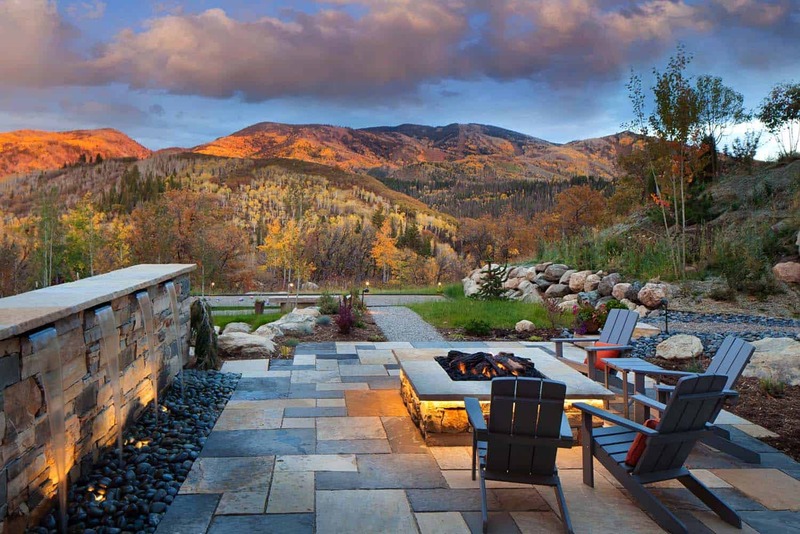 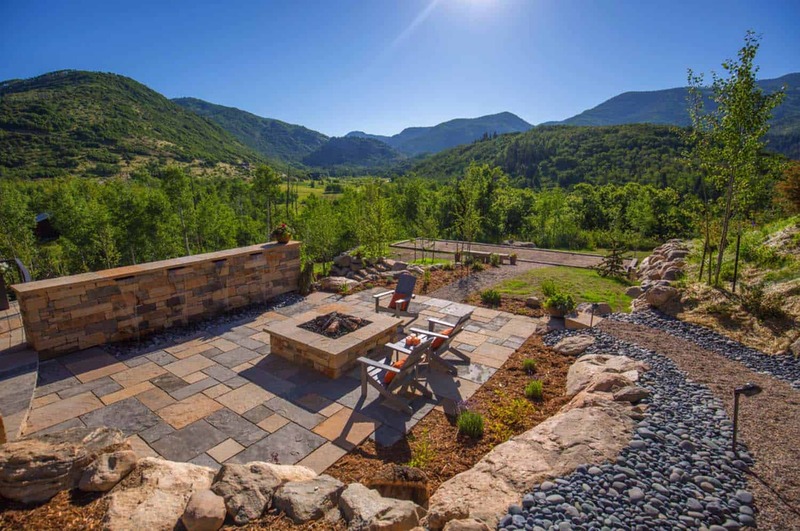 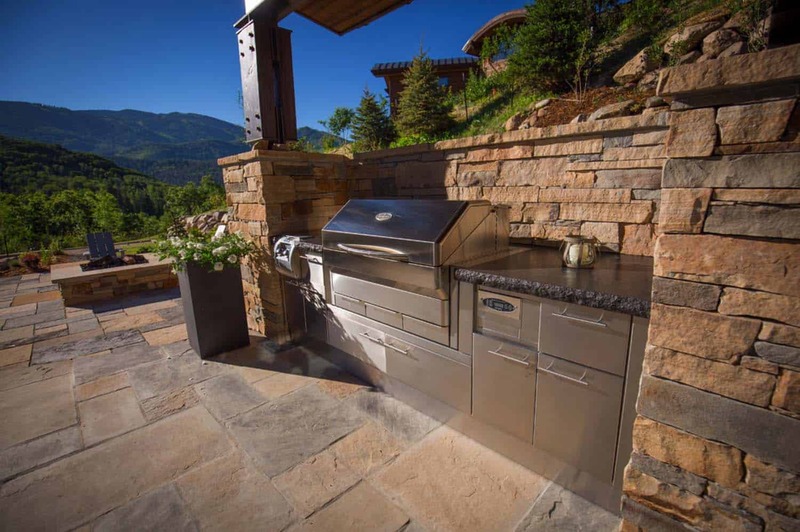 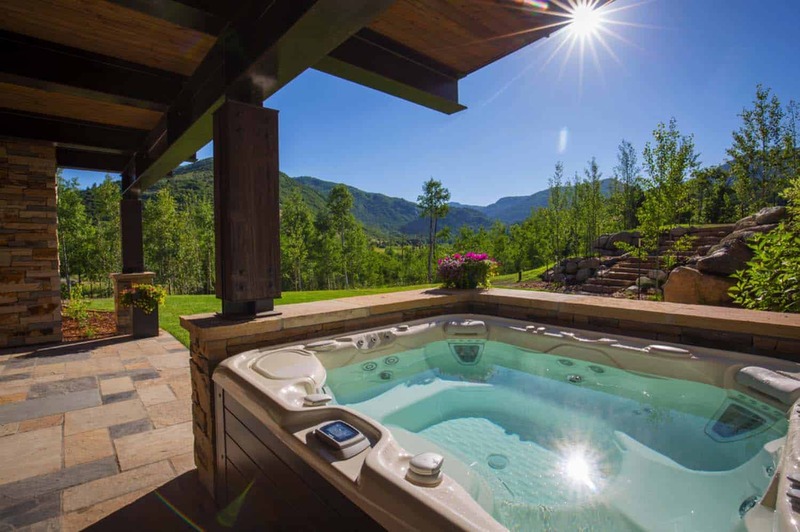 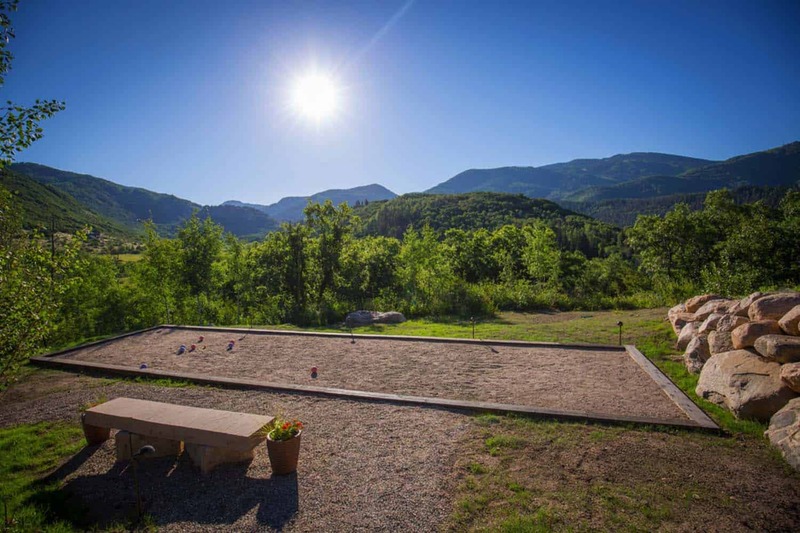 The backyard patio is pretty spectacular as well, with a relaxing water feature and outdoor firepit to enjoy while breathing in the fresh mountain air. 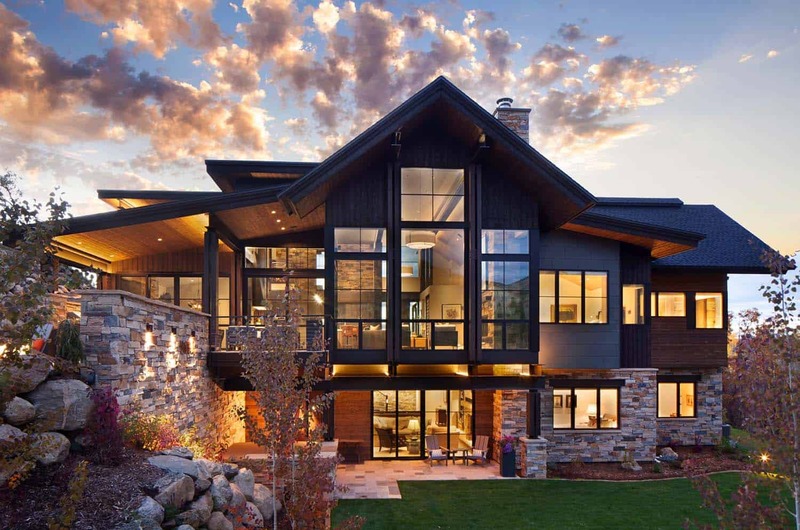 Readers, what are your thoughts on this mountain home, could you imagine yourself living here? 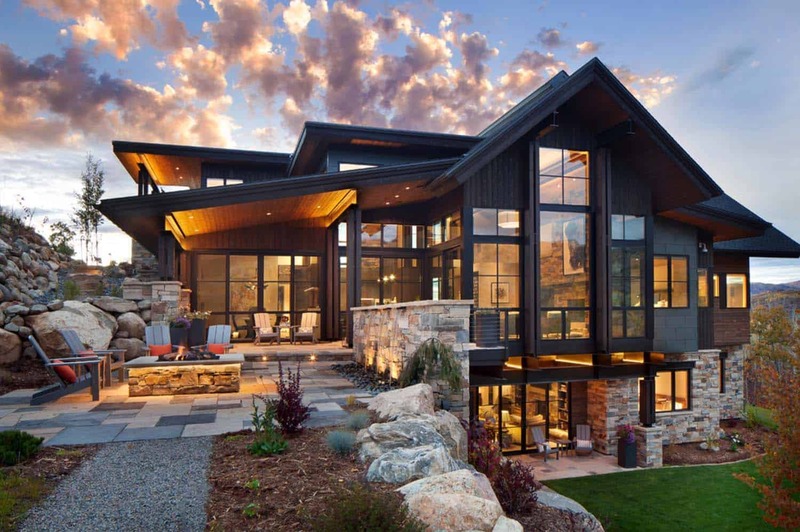 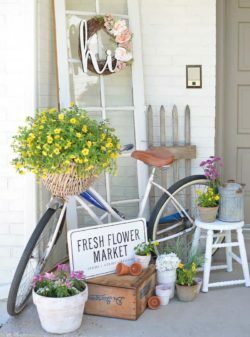 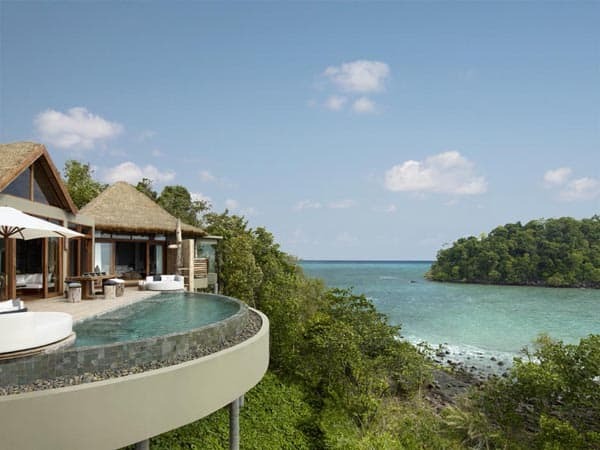 Would this be your idea of a dream home? 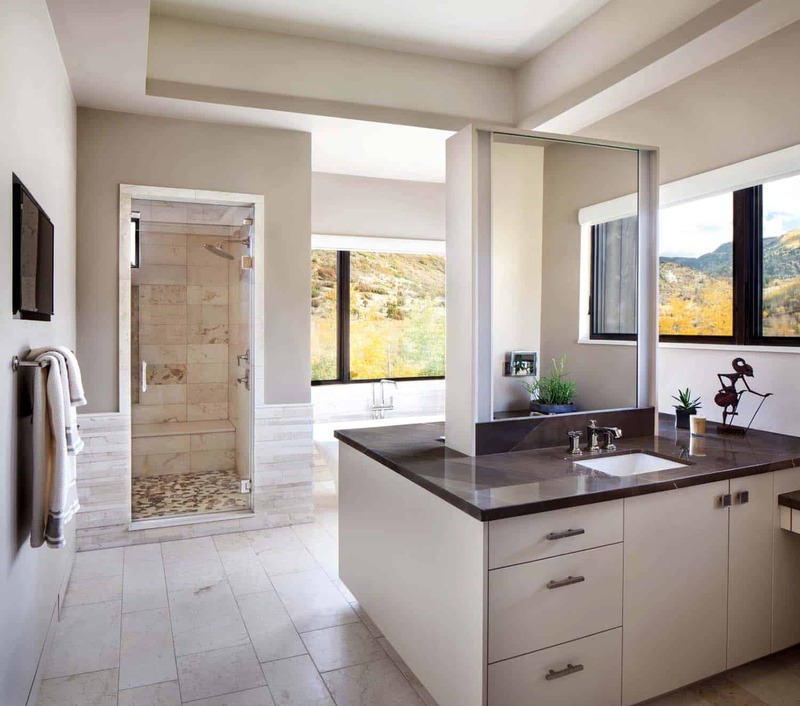 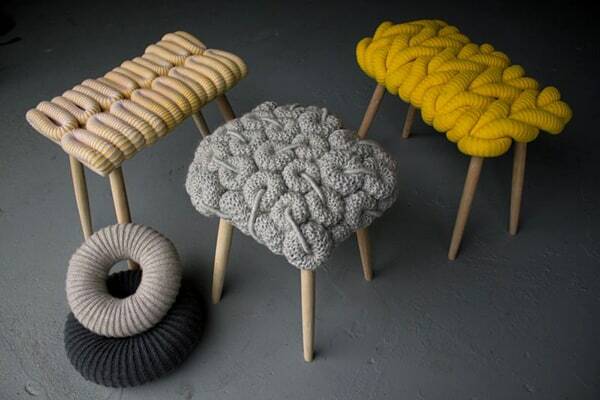 Please share with us your thoughts in the comments below! 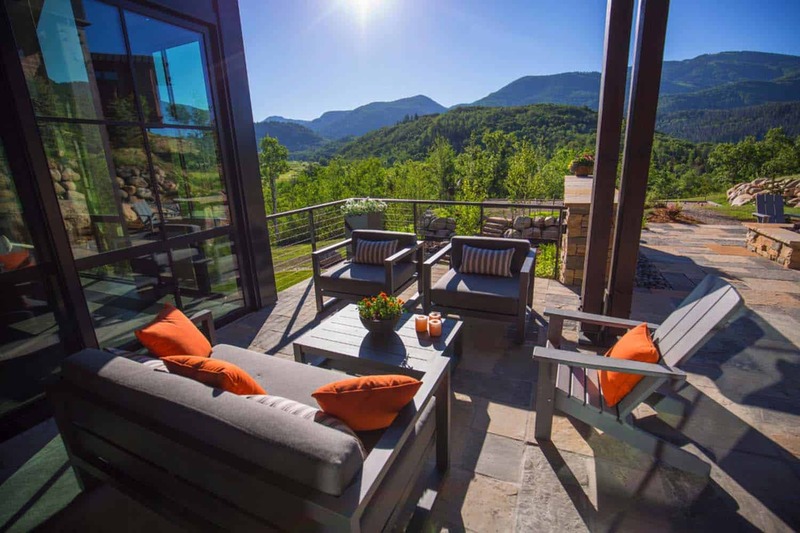 On a lake in the Smoky Mountains, please! 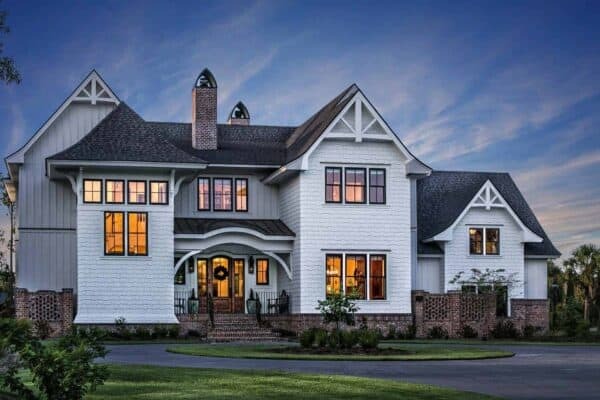 What is the Price of the gorgeous estate?